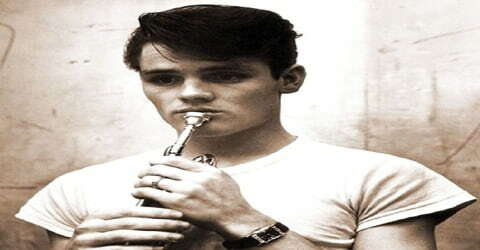 Chet Baker – American jazz trumpeter and vocalist. 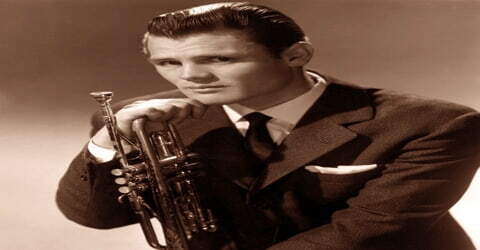 Name: Chesney Henry Baker Jr.
Father: Chesney H. Baker Sr.
Chet Baker, American jazz trumpeter and vocalist noted for the plaintive, fragile tone of both his playing and singing was born in Yale, Oklahoma, U.S. on December 23, 1929. He was a cult figure whose well-publicized struggles with drug addiction curtailed a promising career. 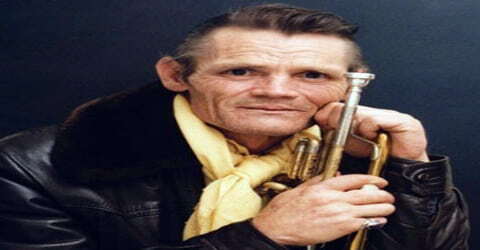 Chet was a primary exponent of the West Coast school of cool jazz in the early and mid-’50s. As a trumpeter, he had a generally restrained, intimate playing style and he attracted attention beyond jazz for his photogenic looks and singing. But his career was marred by drug addiction. Chet started his career in his 40s and made a mark immediately after joining ‘Gerry Mulligan Quarter’ in 1952. He released many jazz numbers, such as ‘Walkin’ Shoes,’ Bernie’s Tune,’ and ‘My Funny Valentine’ with Gerry. In the same year, he also had an opportunity to play with Charlie Parker. All through the 50s, Chet produced albums, such as ‘It Could Happen to You’ and ‘Chet Baker Sings.’ As much as he was loved and admired for his talent, his addiction to heroin was also not hidden from anyone. His drug addiction almost destroyed his career and ultimately killed him. He was arrested several times for drug-related offenses. However, the multi-talented music star later gained some level of notoriety owing to his protracted struggle with drugs and multiple run-ins with the law. After surviving a violent attack which left him unable to play the trumpet for a long while, Baker staged a major comeback in the late 1970s which turned out to be the most prolific era of his career. 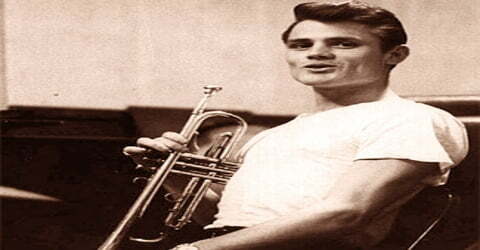 Chet Baker, in full Chesney Henry Baker Jr., was born on December 23, 1929, in Yale, Oklahoma, to Chesney and Vera Baker. His father was a professional guitar player, and mother was a pianist. His maternal grandmother was Norwegian. Baker said that due to the Great Depression, his father, though talented, had to quit as a musician and take a regular job. Expectedly, the young Baker had a natural inclination to music and after joining his church choir, he was gifted a trombone by his father. The trombone proved too cumbersome for the youngster and was thus replaced with a trumpet. He further honed his musical skills while attending Glendale Junior High School. However, he quit school to join the United States Army at the age of 16 and was deployed to Berlin, Germany. Baker was assigned to Berlin, Germany, where he joined the 298th Army band. After leaving the Army in 1948, he studied music theory and harmony at El Camino College in Los Angeles. He dropped out during his second year to re-enlist. He became a member of the Sixth Army Band at the Presidio in San Francisco, spending time in clubs such as Bop City and the Black Hawk. He was discharged from the Army in 1951 and proceeded to pursue a career in music. Chet Baker was involved with several women during his lifetime. He met and married a beautiful Pakistani woman named Halema Alli in 1956. A year later, the couple welcomed their only child together, a son named Chesney Aftab Baker. In 1959, Baker left Halema and their son in Paris in the care of Peter Broome. It remains unclear if and when their union was officially dissolved, however, Baker’s son is said to have been adopted by Broome. In 1964, Chet Baker got married to English actress Carol Ann Jackson whom he had met in 1961. They had 3 children together; sons Dean Baker and Paul Baker and a daughter Melissa. Baker was equally involved with a lot of other women even though he never divorced Carol Baker officially. Baker’s drug addiction caused him to lead a disorganized and peripatetic life, his constant need for cash requiring him to accept many ill-advised recording offers, while his undependability prevented him from making long-term commitments to record labels. As a result, his discography is extensive and wildly uneven. 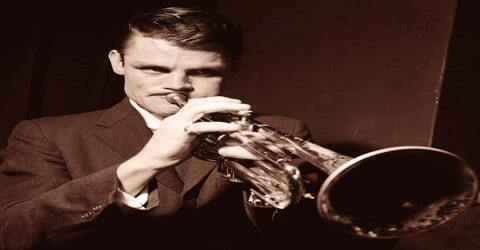 In 1952, Chet Baker joined ‘Gerry Mulligan Quartet,’ a group that played baritone sax, trumpet, bass, and drums. His hit song ‘My Funny Valentine’ was the result of this association. Unfortunately, the group disbanded a year later as the group’s leader was arrested on a drug charge in June 1953. Baker wasted no time in forming ‘The Chet Baker Quartlet’ with composer and pianist Russ Freeman and other mates. They released many albums together and were quite a success. Baker at this time was heralded as a major new force in jazz, topping Metronome magazine’s poll as the top trumpeter of 1953 and establishing his own quartet in the same year. Several of Baker’s recordings from the 1950s also feature his work as a vocalist; his vibratoless, somewhat feminine-sounding tenor voice was in the “cool school” of singers such as Mel Tormé and June Christy. His 1954 recording of “Let’s Get Lost,” a romantic ballad that took on new connotations when sung by the addict Baker, became the song most associated with him. Within a year, Mulligan was arrested and imprisoned on drug charges. Baker formed a quartet with a rotation that included pianist Russ Freeman, bassists Bob Whitlock, Carson Smith, Joe Mondragon, and Jimmy Bond, and drummers Larry Bunker, Bob Neel, and Shelly Manne. Baker’s quartet released popular albums between 1953 and 1956. Baker won reader’s polls at Metronome and Down Beat magazine, beating trumpeters Miles Davis and Clifford Brown. In 1954, readers named Baker the top jazz vocalist. In 1956, Pacific Jazz Records released Chet Baker Sings, an album that increased his visibility and drew criticism. Nevertheless, Baker sang throughout the rest of his career. Baker reassembled another quartet following Mulligan’s imprisonment and together, they recorded several albums between 1953-56. 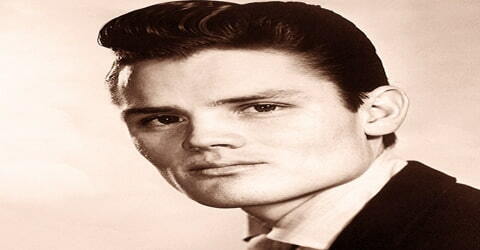 The talented singer released his first vocal album Chet Baker Sings in 1956 which earned him more media attention. 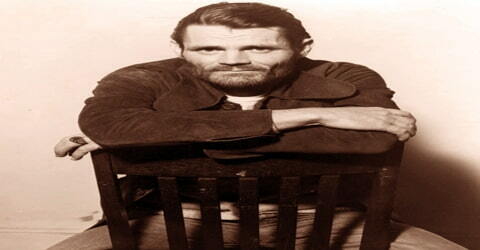 Chet Baker Sings would later receive the Grammy Hall of Fame Award in 2001. He was equally a major pioneer of West Coast Jazz subgenre. In 1955, his love for acting combined with good looks got him an opportunity to make film debut in the film ‘Hell’s Horizon.’ Baker also lent his vocals to his extraordinary ability to play trumpet, and the result was astounding! He became a ‘West Coast Sensation’ with people naturally drawing toward his good looks and talent. Clearly, his delicate vocals, set with his jazz music worked like magic. Many fans and critics felt that Baker, with his popularity and good looks, could have been a movie star. European tours during 1955 and ’56 furthered his reputation, and recordings made during this time represent the best of Baker’s early career. His life became increasingly unstable during the late 1950s, however, as he became increasingly governed by his heroin addiction. Baker toured the U.S. in February 1957 with the Birdland All-Stars and took a group to Europe later that year. He returned to Europe to stay in 1959, settling in Italy, where he acted in the film Urlatori Alla Sbarra. Hollywood, meanwhile, had not entirely given up on him, at least as a source of inspiration, and in 1960, a fictionalized film biography of his life, All the Fine Young Cannibals, appeared with Robert Wagner in the starring role of Chad Bixby. Baker’s career encountered some rough years in the early 1960s owing to his drug habit. He did jail time in Italy and was barred from Germany and the UK on account drug-related offenses. He settled in Milpitas, California and continued performing, however, his woes were far from over. While allegedly trying to purchase drugs in 1966, Baker got beaten by a bunch of thugs and with some of his teeth getting knocked out in the incident, it became nearly impossible for him to play the trumpet afterward. In 1960, Baker acted in another film ‘Howlers in the Dock.’ While he became a jazz icon in the mid-50s, his addiction to heroin affected his flourishing career in the late 50s. Baker was arrested in Italy in the summer of 1960 and spent almost a year and a half in jail. He celebrated his release by recording Chet Is Back! for RCA in February 1962. (It has since been reissued as The Italian Sessions and as Somewhere Over the Rainbow.) Later in the year, he was arrested in West Germany and expelled to Switzerland, then France, later moving to England in August 1962 to appear as himself in the film The Stolen Hours, which was released in 1963. He was deported from England to France because of a drug offense in March 1963. He lived in Paris and performed there and in Spain over the next year, but after being arrested again in West Germany, he was deported back to the U.S. He returned to America after five years in Europe on March 3, 1964, and played primarily in New York and Los Angeles during the mid-’60s, having switched temporarily from trumpet to flugelhorn. In 1966, Baker was beaten, allegedly while attempting to buy drugs, after performing at The Trident restaurant in Sausalito. In the film Let’s Get Lost, Baker said an acquaintance attempted to rob him but backed off, only to return the next night with a group of men who chased him. He entered a car and became surrounded. Instead of rescuing him, the people inside the car pushed him back out onto the street, where the chase continued. He received cuts and some of his teeth were knocked out, ruining his embouchure and leaving him unable to play the trumpet. He worked at a gas station until concluding that he had to find a way back to music. Baker moved to New York City and started performing with guitarist Jim Hall. In 1970, he went to Europe and until his death performed exclusively for his European audience. During this phase of his life, Baker grew a lot as an artist. His work was well received by critics and people, even though, commercially, it was never a success. Regaining some control over his life by taking methadone to control his heroin addiction (though he remained an addict), Baker eventually mounted a comeback that culminated in a prominent New York club engagement in November 1973 and a reunion concert with Gerry Mulligan at Carnegie Hall in November 1974 that was recorded and released by Epic Records. By the mid-’70s, Baker was able to return to Europe and he spent the rest of his life performing there primarily, with occasional trips to Japan and periods back in the U.S., though he had no permanent residence. He attracted the attention of rock musicians, with whom he occasionally performed, for example adding trumpet to Elvis Costello’s recording of his anti-Falklands War song “Shipbuilding” in 1983. In 1986, Chet Baker: Live at Ronnie Scott’s London presents Baker in an intimate stage performance filmed with Elvis Costello and Van Morrison as he performs a set of standards and classics, including “Just Friends”, “My Ideal”, and “Shifting Down”. Augmenting the music, Baker speaks one-on-one with a friend and colleague Costello about his childhood, career, and struggle with drugs. Baker recorded the live album Chet Baker in Tokyo with his quartet featuring pianist Harold Danko, bassist Hein Van de Geyn and drummer John Engels less than a year before his death, and it was released posthumously. Silent Nights, a recording of Christmas music, was recorded with Christopher Mason in New Orleans in 1986 and released in 1987. Despite his history of indulgence and excess, his improvisation became more glib, his attack more forceful, and his tone more intimate. The years 1977–88 were also Baker’s most prolific as a recording artist. These recordings received much praise from critics though they did not reach a very wide audience. Among Baker’s last performances were a recording of Christmas music Silent Nights in 1986 in New Orleans as well as the live album Chet Baker in Tokyo during a 1987 tour in Japan. In 1987, photographer and filmmaker Bruce Weber undertook a documentary film about Baker. The following year, Baker died in a fall from a hotel window in Amsterdam after taking heroin and cocaine. Weber’s film, Let’s Get Lost, premiered in September 1988 to critical acclaim and earned an Academy Award nomination. In 1997, Baker’s unfinished autobiography was published under the title As Though I Had Wings: The Lost Memoir and the book were optioned by Miramax for a film adaptation. Baker’s compositions included “Chetty’s Lullaby”, “Freeway”, “Early Morning Mood”, “Two a Day”, “So che ti perderò” (“I Know I Will Lose You”), “Il mio domani” (“My Tomorrow”), “Motivo su raggio di luna” (“Contemplate on a Moonbeam”), “The Route”, “Skidaddlin'”, “New Morning Blues”, “Blue Gilles”, “Dessert”, “Anticipated Blues”, “Blues for a Reason”, “We Know It’s Love”, and “Looking Good Tonight”. On October 10, 2015, ‘Chet Baker Jazz Festival’ was inaugurated in the honor of Chet Baker, in Yale, Oklahoma. In 2016, his biopic ‘Born to be Blue’ was released in theatres. 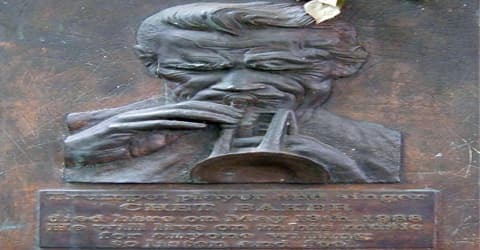 On May 13, 1988, Chet Baker was found dead on the street below his hotel room in Amsterdam. It was suspected that he died of a fall from the window of his second-floor hotel room. Heroin and cocaine were found in his room and in his body. There was no evidence of a struggle, and the death was ruled an accident. Baker is buried at the Inglewood Park Cemetery in Inglewood, California next to his father. A plaque was commissioned at the Hotel Prins Hendrik, in Amsterdam in his memory. Chet Baker’s cult following increased after his death with the release of director Bruce Weber’s biographical documentary Let’s Get Lost (1988) and Baker’s own unfinished memoirs, As Though I Had Wings (1997). 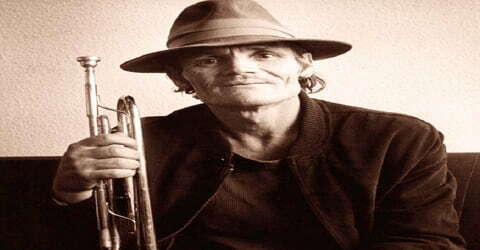 Chet Baker is portrayed by Ethan Hawke in the 2015 film Born to Be Blue. It is a reimagining of Baker’s career in the late 1960s when he is famous for both his music and his addiction, and he takes part in a movie about his life to boost his career. The Australian electronica musician Nick Murphy chose “Chet Faker” as his stage name, in order to pay homage to Baker, who was a big influence for him.